You can also print more than one page on each paper. Then go to the "Finishing" tab and choose under "Pages per sheet" or "Slides per page" in Word, Excel, Power Point or PDF. 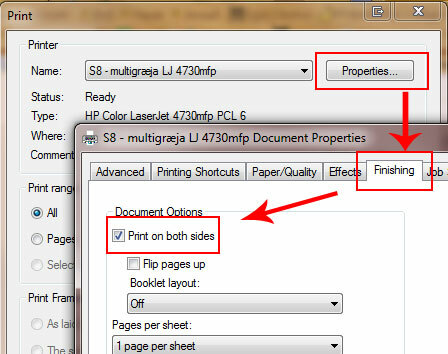 Then select how many pages you want to print on each piece of paper.